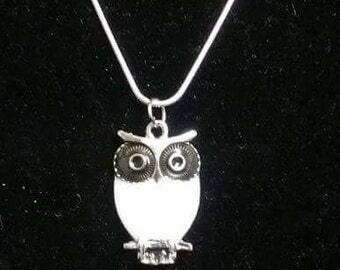 White Owl Pendant On a Silver Plated Snake Chain. 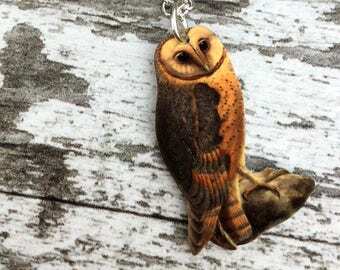 Owl Pendant. 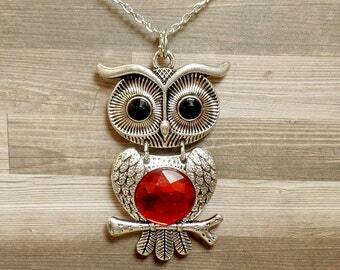 Owl jewelry. 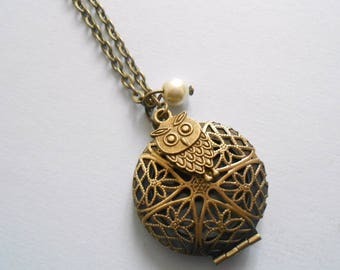 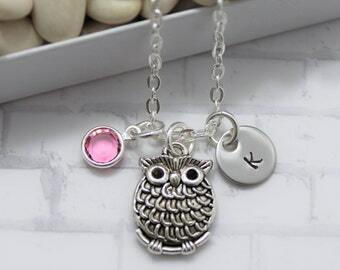 Owl necklace. 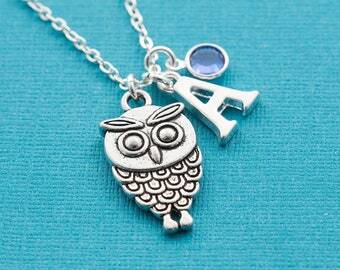 Animal jewelry. 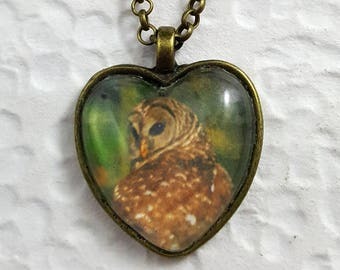 Animal pendant. 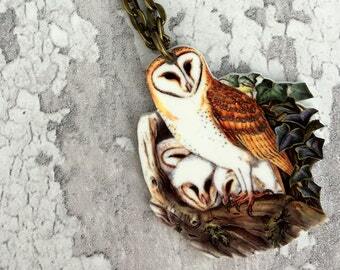 Animal necklace. 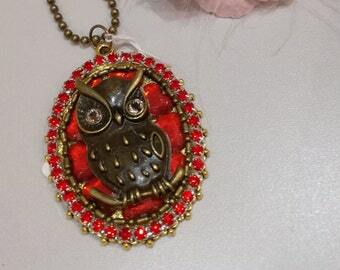 Red Owl Charm Necklace, Owl Pendant, Red Enamel Owl Pendant, Owl Charm, Lobster Clasp Owl Charm. 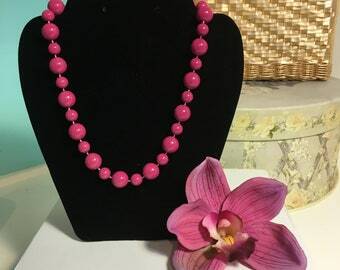 Black & White Faceted Glass Bead 34" Necklace. 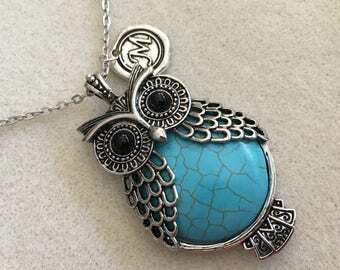 Glass Owl necklace. 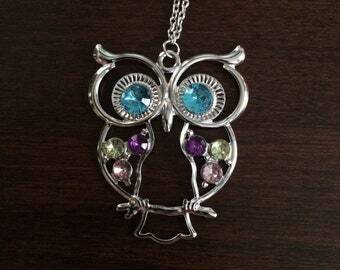 Mauve Glass jewelry Owl. 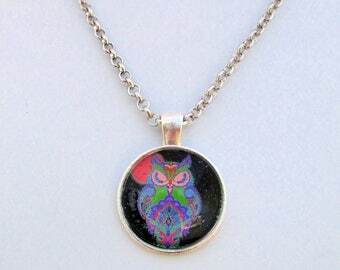 Mauve Pink Lilac Plum lightskyblue Pendant. 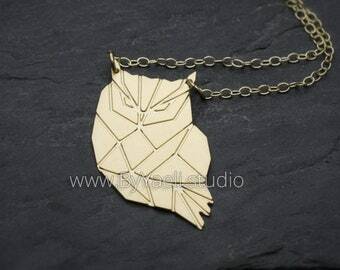 Owl Pendant. 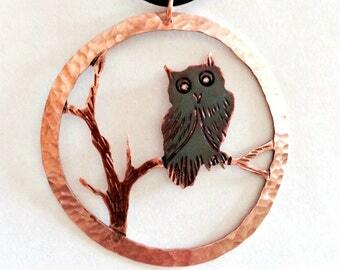 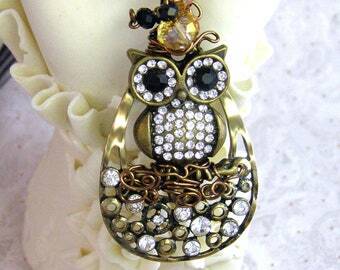 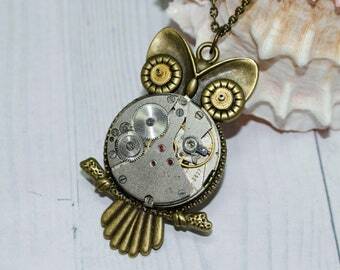 Jewelry Owl. 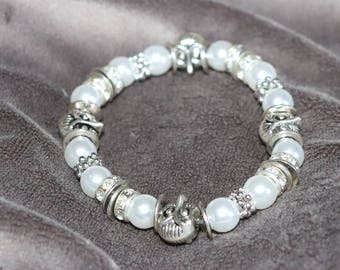 Gift for pet lover.